. We aim to stay in touch with everyone and improve communication and knowledge exchange across Europe. 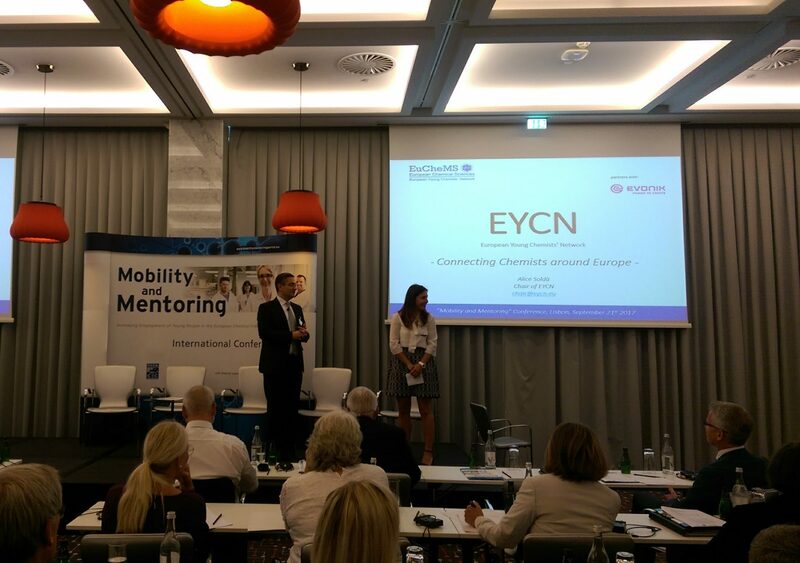 The EYCN would like to thank the following companies for their support of the 14th EYCN Delegate Assembly: EuChemS, GDCh, Evonik, Chembid, European Chemistry Partnering, BCNP Consultants and abcr. 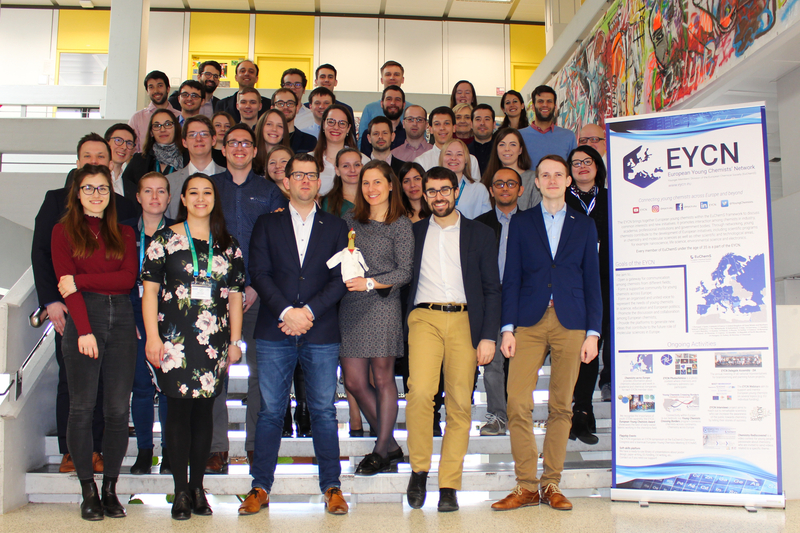 Without their involvement, it would not have been possible to successfully bring together young chemists from across Europe to help grow our network. 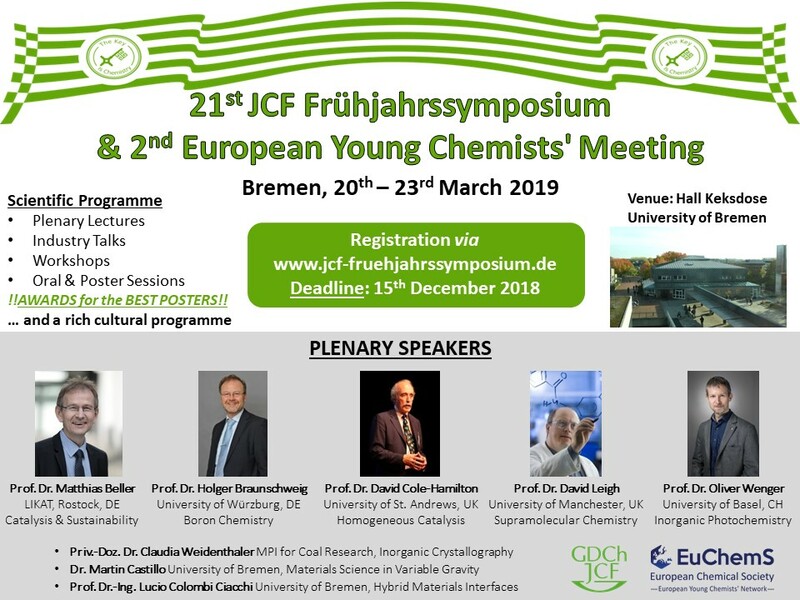 The Young Chemists Section of the German Chemical Society (GDCh-JCF) will host the 2nd European Young Chemists’ Meeting (2nd EYCheM) together with the 21st GDCh-JCF Spring Symposium (Frühjahrssymposium) in Bremen from the 20th to 23rd of March 2019, right after the 14th EYCN Delegate Assembly. 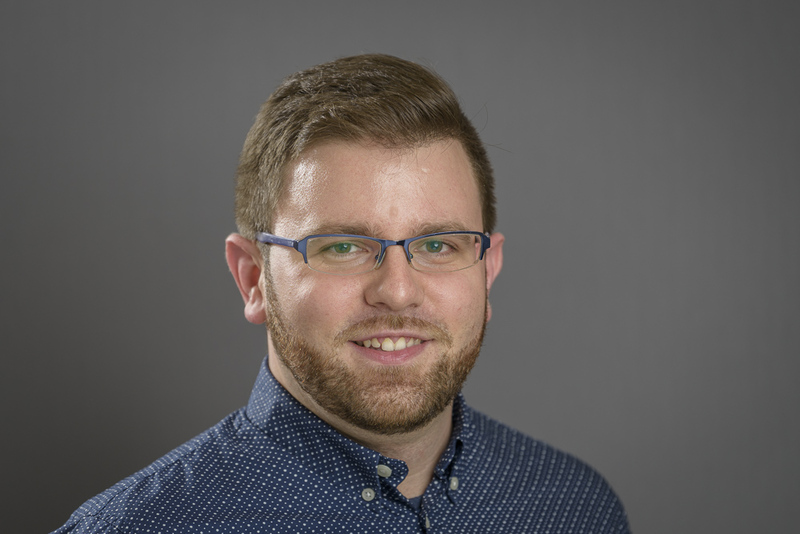 The conference will feature distinguished plenary speakers, including Prof. David Cole-Hamilton (University of St. Andrews, UK) and Prof. David Leigh (University of Manchester, UK). The deadline for the registration, as well as for abstract submission is 15th of December 2018. 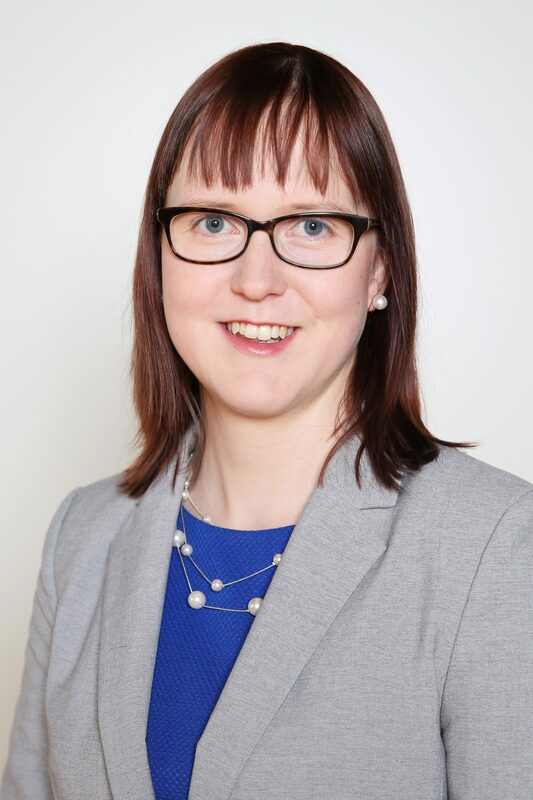 We are pleased to welcome the Norwegian Chemical Society to the EYCN! Now, our organization has representatives from 27 countries. You can find more information about this society and its delegate here. Are you interested to go to the 37th Biennial Meeting of the Spanish Royal Society of Chemistry in San Sebastián from May 26-30, 2019? 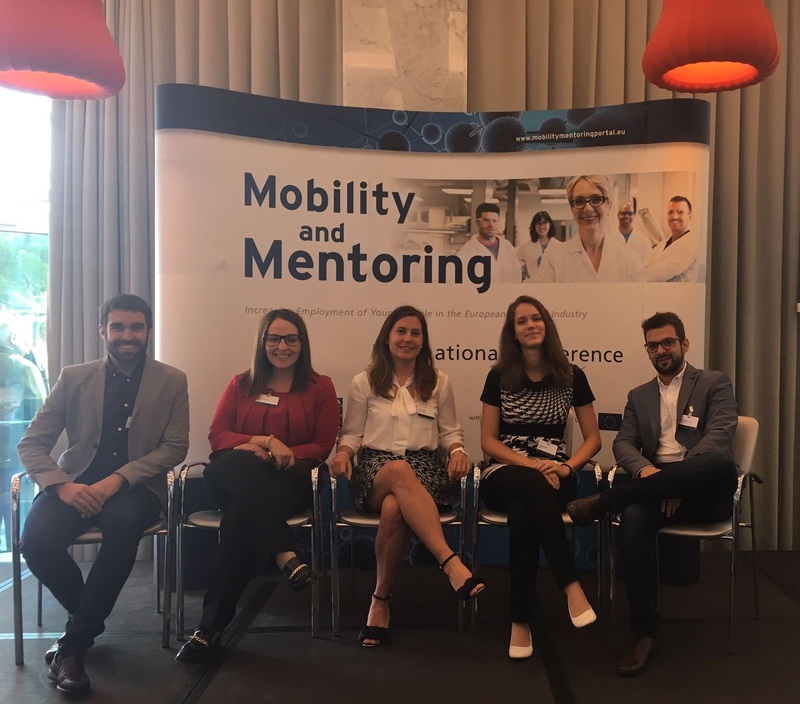 The EYCN Networks Team has worked with the Spanish Young Investigators in Chemistry and created an opportunity for up to 5 PhD students and 1 PostDoc researcher. Read more details about the requirements for the travel grant HERE and visit the website of the event for more information. 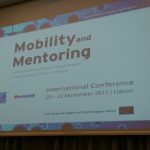 The call is open until the 30th of January 2019! The organizing committee of BYPoS 2019 would like to invite all young scientists to participate in a workshop that is oriented on all fields of macromolecular chemistry. 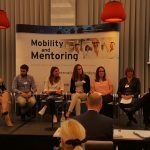 This event provides a great possibility for young polymer scientists (BSc/MSc/PhD students or younger researchers up to 40 years) to present and discuss their results and knowledge in the field of polymer chemistry and incorporate to the group of young motivated people. This traditional BYPoS workshop will be held from March 25-28, 2019 in the ski-center Oščadnica in the north of Slovakia, where one could enjoy professional, social and sport possibilities. 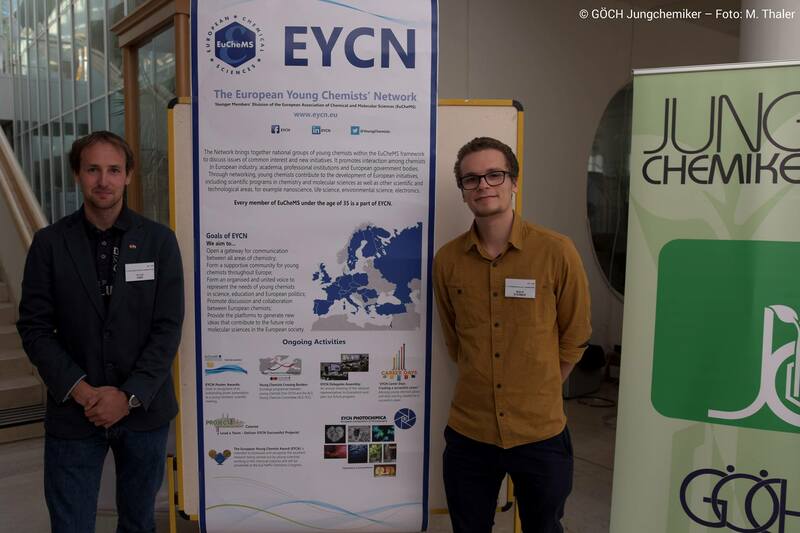 We are pleased to welcome the Danish Chemical Society to the EYCN! Now, our organization has representatives from 26 countries. You can find more information about this society and its delegate here. 2019 has been pronounced the International Year of the Periodic Table (IYPT2019), and EuChemS, the European Chemical Society, hopes that this unique and thought-provoking Periodic Table will lead to reflection and ultimately, action. Over the next year, EuChemS will provide featured articles on specific elements, their endangered status, and the consequences this will have on the world around us. The Periodic Table is available for free download. Please note that the work is licensed under the Creative Commons Attribution NoDerivs CC BY-ND. Support notes, which explain in more detail how the Periodic Table has been designed are available for download here. Support notes for teachers are available for download here. On 22 January 2019, a video game will be released. 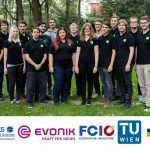 Follow the EuChemS website page for all the latest updates! 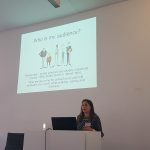 The European Young Chemist Award 2018 (EYCA2018; http://eyca2018.org) was presented in Liverpool during the 7th EuChemS Chemistry Congress (7ECC). 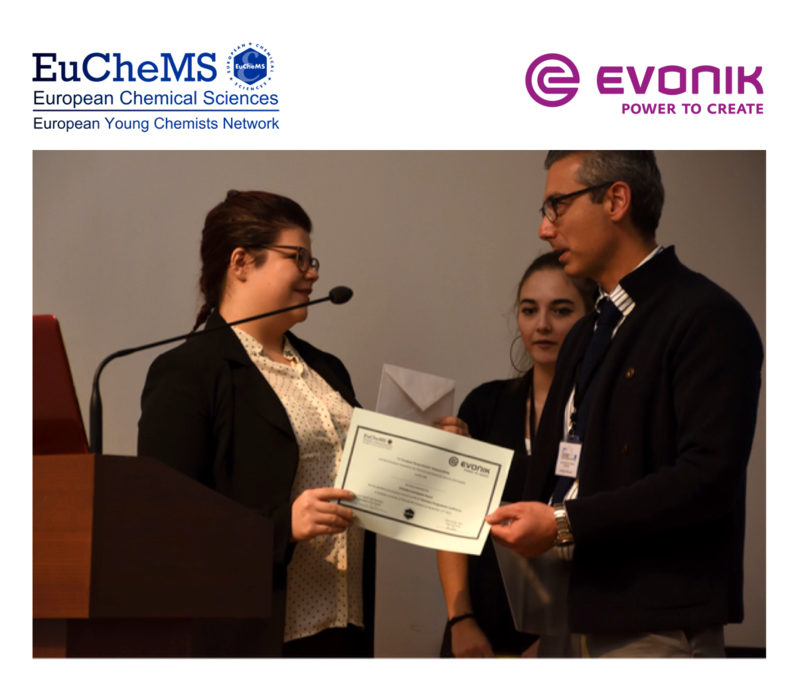 Under the patronage of EuChemS, the 7ECC and the European Young Chemists’ Network (EYCN), EYCA2018 has been sponsored by the Italian Chemical Society (SCI) and the Federazione Nazionale degli Ordini dei Chimici e dei Fisici in Italy (FNCF). The award aims to showcase and recognize the excellent research being carried out by young scientists working in the chemical sciences. Researchers from all over the world applied to the award. 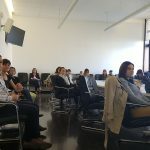 After being selected on the basis of the judgements of the Coveners of the 7ECC and/or of recognized experts in the field, the finalists presented their research by a talk in front of a jury composed by professors Luisa De Cola (University of Strasbourg), Christophe Copéret (ETH Zurich) and Gaetano Guerra (University of Salerno). 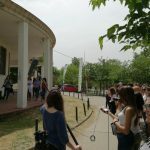 At the competition were present Prof. Angela Agostiano and Dr. Nausicaa Orlandi, Presidents of the SCI and FNCF respectively, which sponsored the Prize for about 6000 euros. 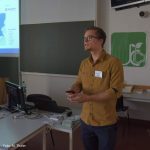 The Award Advisory Boardwere composed by Federico Bella (SCI), Nausicaa Orlandi (FNFC), Alice Soldà (EYCN), Victor Mougel (EYCN), Magnus Johnson (EYCN) and the general organization was by Camillo Sartorio. 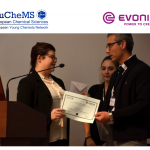 In the presence of Prof. Bruno Pignataro (Chair of the Award), Prof. Pilar Goya (the President of EuChemS) and Dr. Alice Soldà (the Chair of the European Young Chemist Network), the winners of the two categories covered by the EYCA (PhD level and level 35 years) were presented during the 7ECC closing ceremony. At the 35 years old level won the EYCA2018 Alessandro Porchetta (University of Rome Tor Vergata, Italy) and have got the two silver medals Matteo Atzori (University of Florence, Italy) and Simone Fabiano (Linköping University, Sweden). 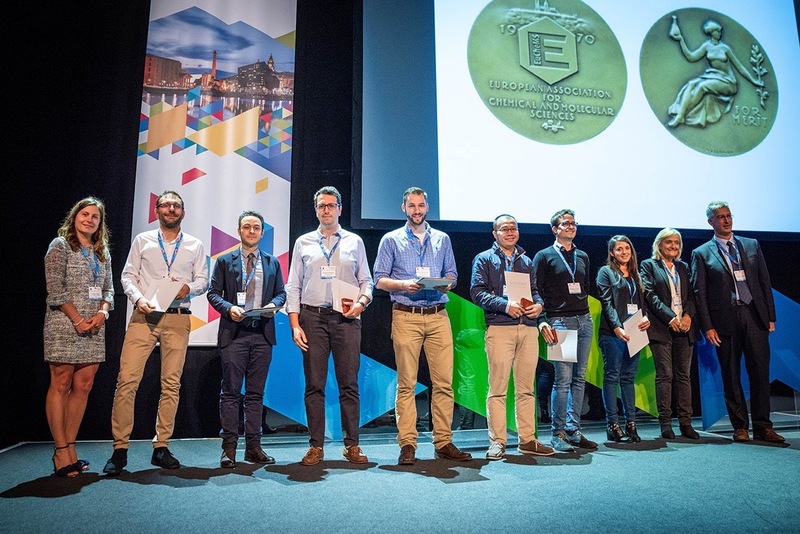 The winners of EYCA2018 at the PhD level were Tim Gatznmeier (Gold medal, Max Plank Institute für Kolenforshung, Germany), Lichen Liu (Silver medal; Valencia University, Spain) and Clément Larquet (Silver medal; Sorbonne University, France). 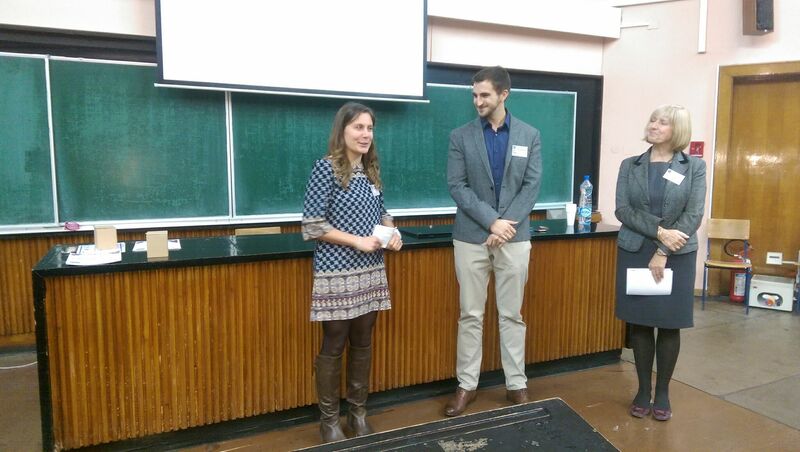 A special mention was also given to Erica Del Grosso (University of Rome Tor Vergata, Rome). 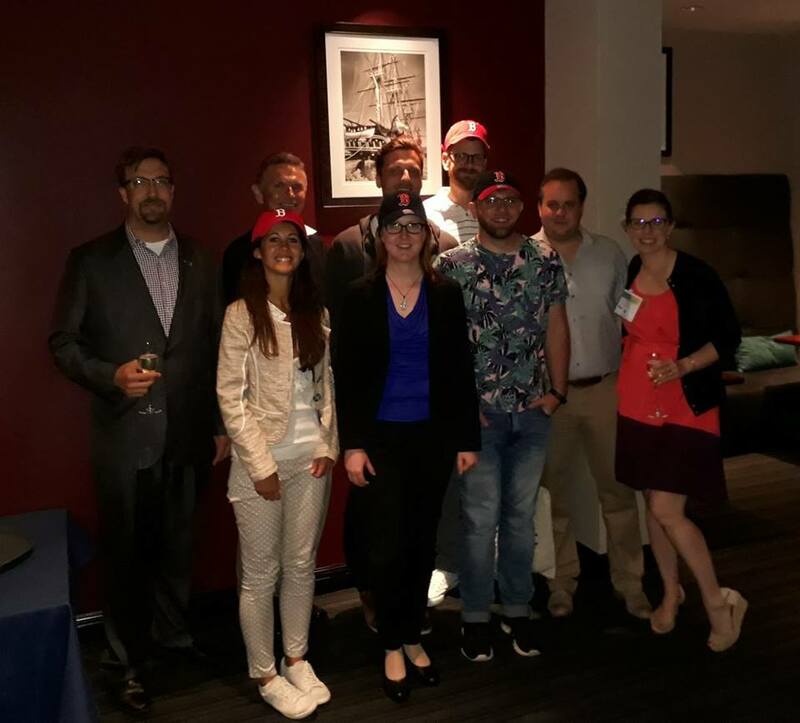 The Younger Chemists Crossing Borders (YCCB), the exchange program between the EYCN and the Younger Chemists Committee of the American Chemical Society (ACS-YCC), was a great achievement for this year! 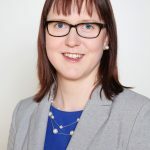 Special thanks to Jackie O’Neil (ACS-YCC) and Torsten John (EYCN), which successfully leaded the YCCB project and spent a lot of time to make this exchange possible! 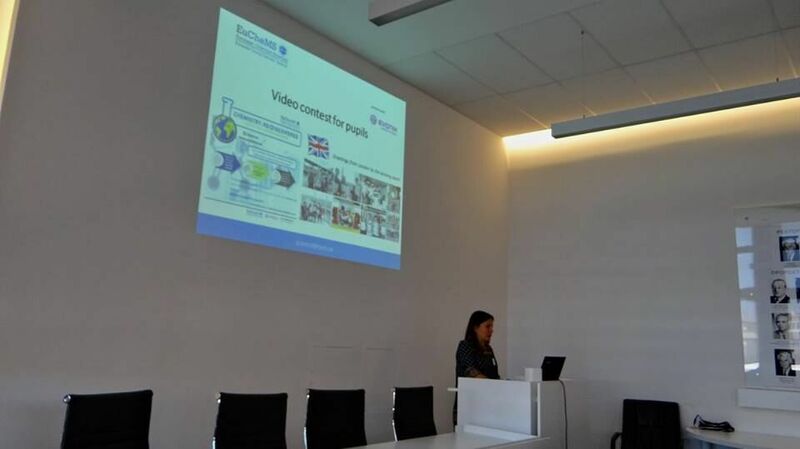 Catherine Rawlins, Caitlyn Mills and Lori Ferrins, awardees from ACS-YCC, attended as speakers during the 7th EuChemS Chemistry Congress in Liverpool. 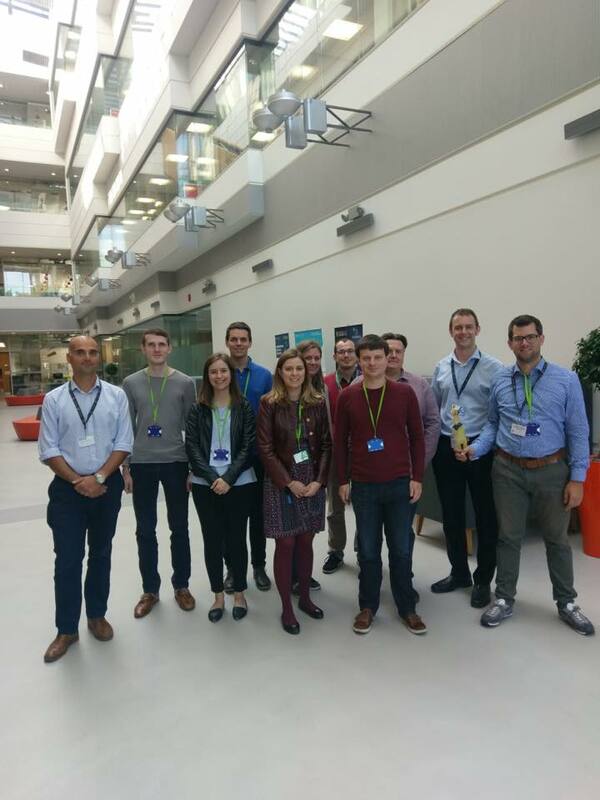 They also had the chance to visit the Unilever Materials and Innovation Factory with some EYCN delegates and friends! 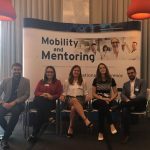 Elena Lenci (IT), Dušan Petrović (RS), Alexandre Herve (FR) and Andra-Lisa Hoyt (DE) awardees from EYCN, attended the 256th ACS National Meeting in Boston (USA)! We congratulate the awardees and wish them best luck for their future and to all of you, keep an eye on our social media to be updated on the next edition of the YCCB program! 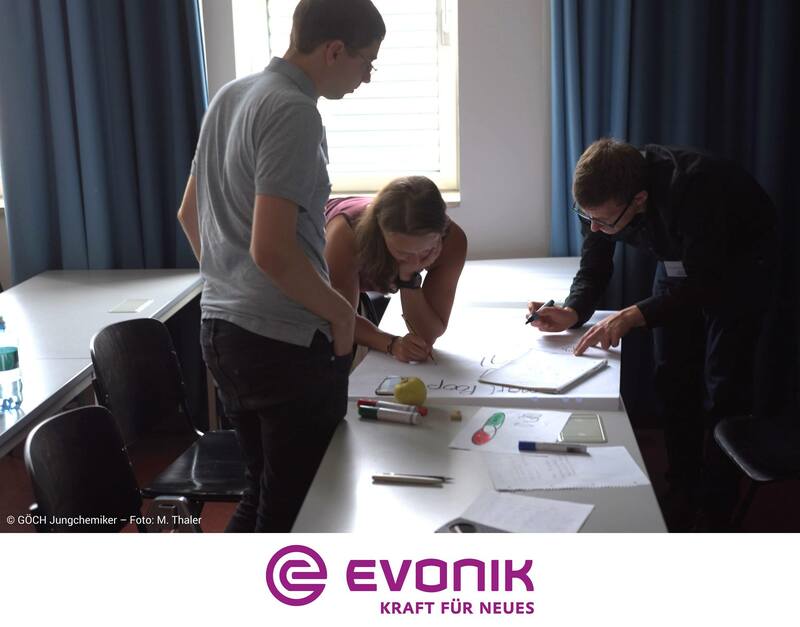 Read the full program of the EYCN Symposium designed especially for young chemists. We kindly remind the participants to proceed with their registration; for more information about the registration fees, click here. 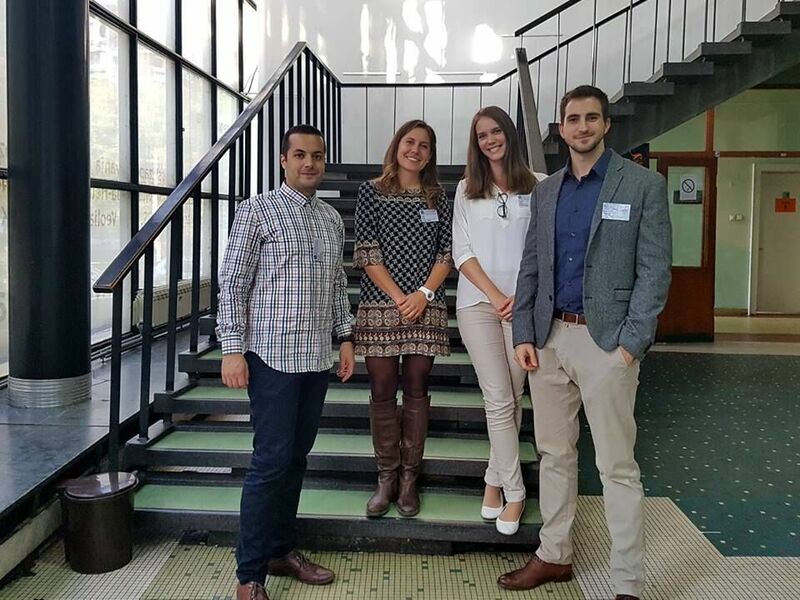 Meet the finalists of the EYCA – European Young Chemist Award 2018 – read more about them here! The EYCA 2018 will take place on Tuesday, August 28, 2018 during the 7th EuChemS Chemistry Congress in Liverpool. Read the Program Session EYCA 2018 and find out the detailed schedule. 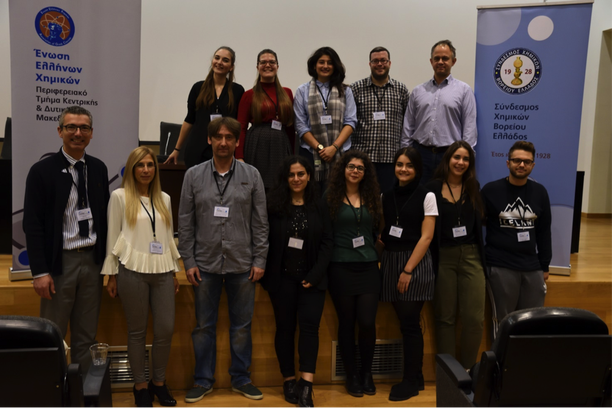 We are pleased to welcome the Turkish Chemical Society to the EYCN! Now, our organization has representatives from 25 countries. You can find more information about this society and its delegate here. 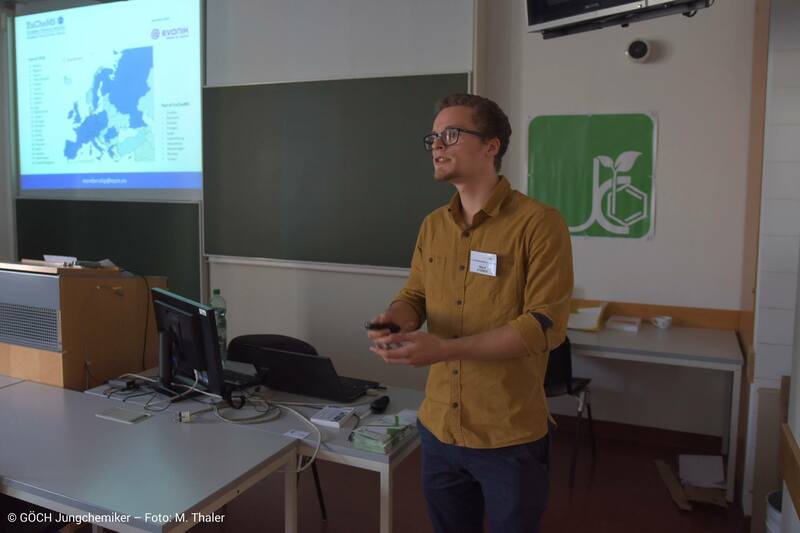 Young Chemists Crossing Borders (YCCB) – Results! You can read more information about all the winners here. 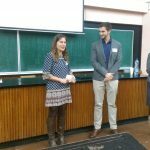 The winners are given an opportunity to participate and present at an ACS National Meeting and to create a network with young chemists from another continent. We congratulate them and we also thank all the applicants for participation. The Younger Chemists Committee (YCC) of the American Chemical Society (ACS) and the European Young Chemists’ Network (EYCN), a division of EuChemS, are very pleased to invite you to the 256th ACS National Meeting and Exposition, to be held in Boston (Massachusetts, US) from August 19-23, 2018. This is an amazing opportunity for 4 European young chemists to attend the 256th ACS National Meeting and Exposition this year in Boston. The theme of the meeting will be “Nanoscience, Nanotechnology & Beyond” and will showcase research from many diverse topics and areas of the chemical sciences. The award covers accommodation, most meals, conference fees and a site visit to a chemical research facility. The award winners must fund their travel to and from Boston. 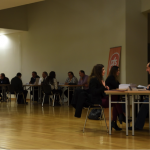 Applicants are asked to submit a scientific abstract (award winners are expected to present their work during the conference), a CV (two pages maximum) and a cover letter detailing their motivation for applying (one page maximum) until March 9th, 2018 (CET). The candidates will be judged according to high standards of scientific qualifications, their engagement and commitment to the scientific community on a national and international level, and their ability to represent the new European elite in front of the American Chemical Society. Dear European young chemists, the call for the European Young Chemist Award 2018 is open! Do not miss the chance to apply! 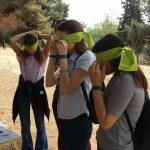 You will find more information following this link: http://eyca2018.org. 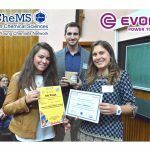 The European Young Chemist Award 2018 is intended to showcase and recognise the excellent research being carried out by young scientists working in the chemical sciences and will be presented at the 7th EuChemS Chemistry Congress to be held in Liverpool from August 26-30, 2018. 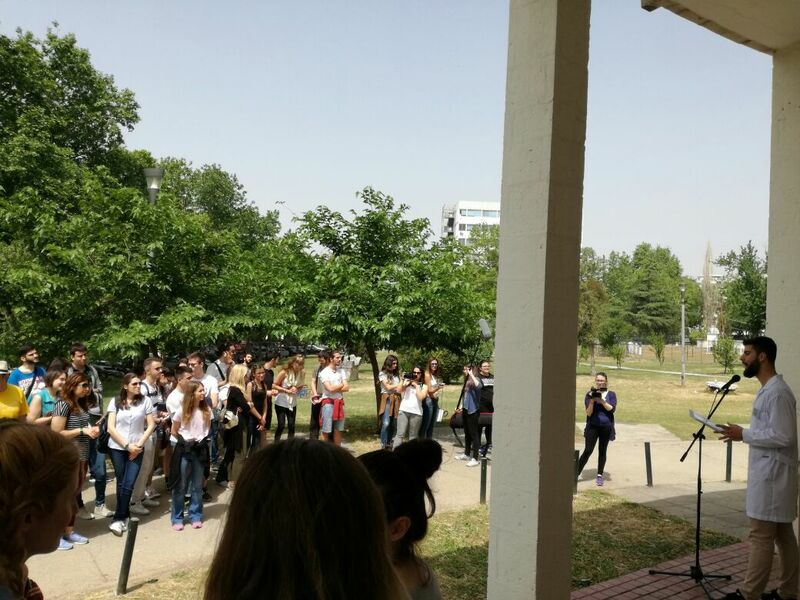 The EYCN Board together with the young chemists section of the Italian Chemical Society (SCI – Gruppo Giovani) have the pleasure to organize the 13th EYCN Delegate Assembly (DA) in Torino (Italy) from 6th to 9th of May 2018. Please note that the deadline for registration has passed (31st of January 2018). 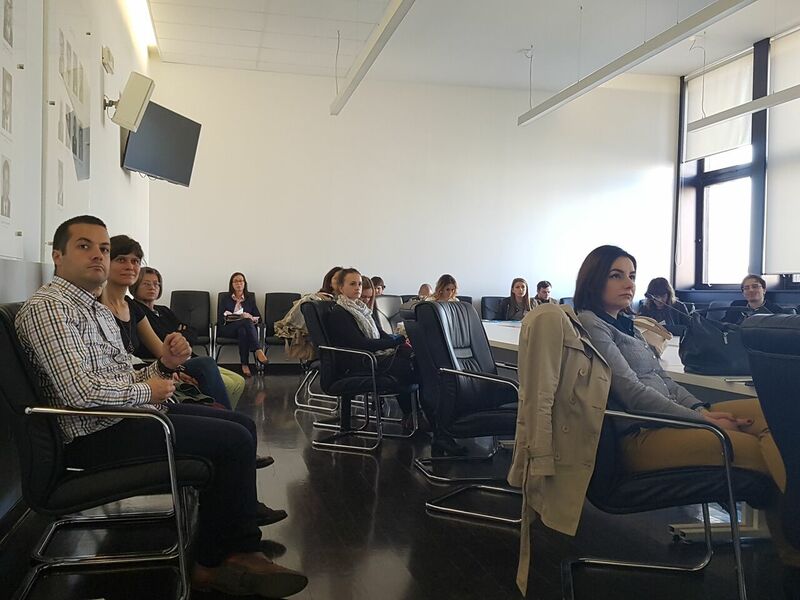 We are pleased to welcome the Hungarian Chemical Society to the EYCN! Now, our organization has representatives from 24 countries. You can find more information about this society and its delegate here. 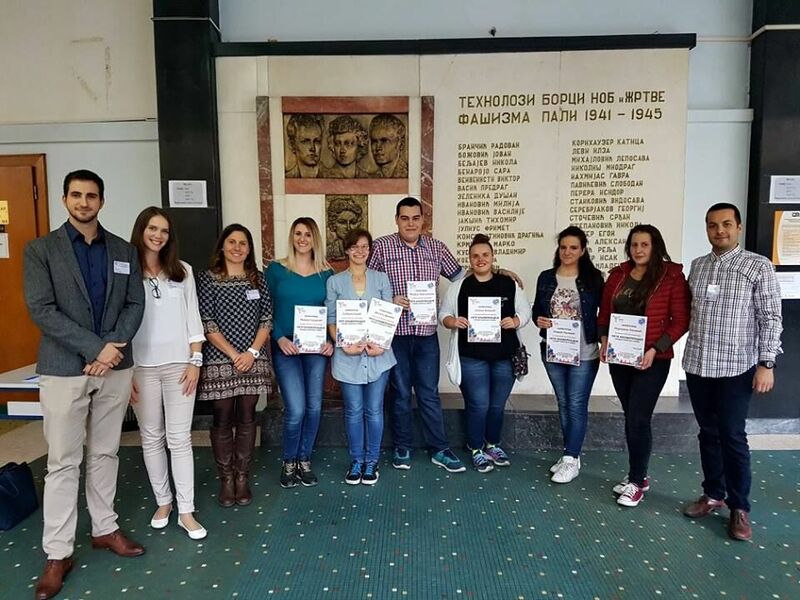 We are pleased to welcome the Society of Chemists and Technologists of Macedonia to the EYCN! Now, our organization has representatives from 23 countries. You can find more information about this society and its delegate here. The 7th EuChemS Chemistry Congress titled “Molecular frontiers & global challenges” will take place on August 26–30, 2018, in Liverpool (United Kingdom). Registration is now open, via an online system and full payment is required to guarantee your booking. Deadline for early bird registration until June 4th, standard registration by July 16th, late registration by August 16th. The EuChemS Chemistry Congresses reflect the outstanding research being done in Europe and around the world by bringing together chemists from different countries and professional backgrounds to exchange ideas, advance knowledge and discuss key issues for chemistry and society. As such, the 7th EuChemS Chemistry Congress offers you exceptional opportunities to network with chemists from across Europe and beyond. The deadline for submission of abstracts for oral presentations is January 29th, 2018 and for submission of abstracts of posters is April 16th, 2018. The 16th Swiss Snow Symposium 2018 will take place on January 26-28, 2018, once more in Saas-Fee (Switzerland). Applications are now closed. This traditional symposium will provide an innovative platform for young chemists to present their work and to exchange their experience. A well balanced mix between lectures, short talks and poster session as well as get-togethers at the hotel bar and snow fun activities on the slopes of the Allalin-Mountain guarantee a unique experience of science and fun. The 12th edition of the European-Winter School on Physical Organic Chemistry (E-WiSPOC) will take place from January 28-February 2, 2018, in Bressanone (Italy). Applications are now closed. 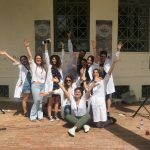 This School an unique opportunity to gain expertise in the field of Organic Chemistry. If you are interested in WHY and not only HOW chemical reactions proceed you MUST attend this School. 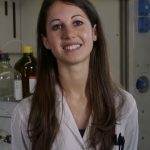 The School is part of the Organic Division of the Italian Chemical Society, which also provides some fellowships for young participants. The awards are given for the most outstanding Ph.D. theses in the general area of the chemical sciences, as described in a 1000-word essay. The award is generously sponsored by Solvay. Complete applications must be received at the IUPAC Secretariat by February 1st, 2018. For more information visit the following link. 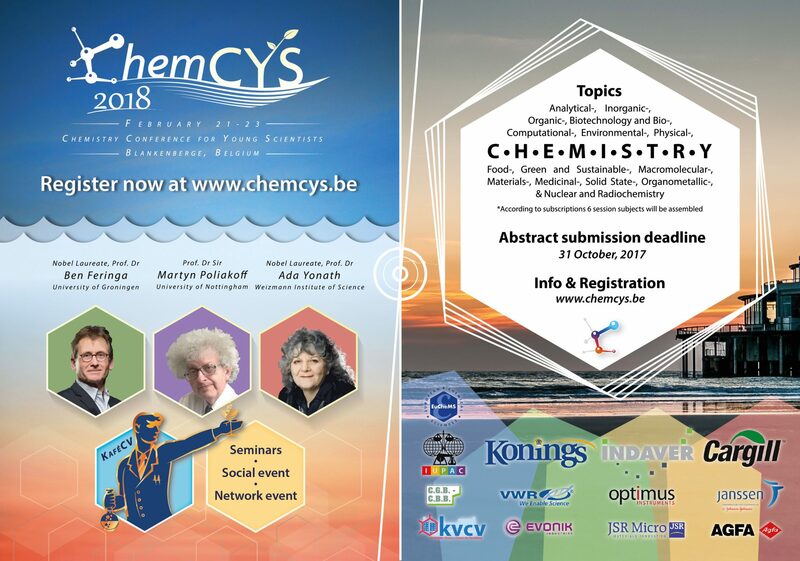 The 14th edition of the Chemistry Conference for Young Scientists (ChemCYS 2018) is organized by Jong KVCV and will take place February 21-23, 2018, at the Belgian coast in Blankenberge. Applications are now closed. You can find more information about the conference below. 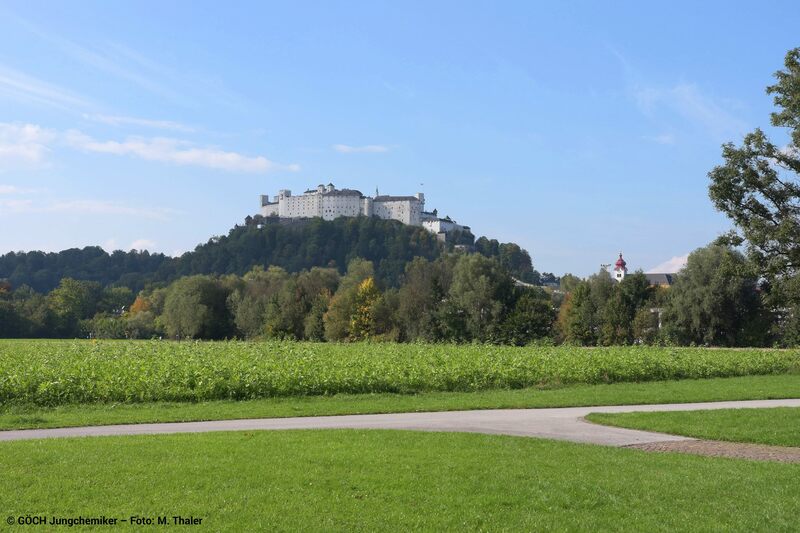 The 20th JCF spring symposium will take place at the University of Konstanz (Germany) from March 21-24, 2018. Applications are still open until the additional seats are taken. 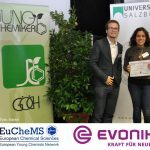 The GDCh-JCF spring symposium is a well-established international event for young chemists, in particular undergraduate and PhD students of chemistry and related subjects. Researchers from Europe and all over the world are encouraged to participate in the symposium. 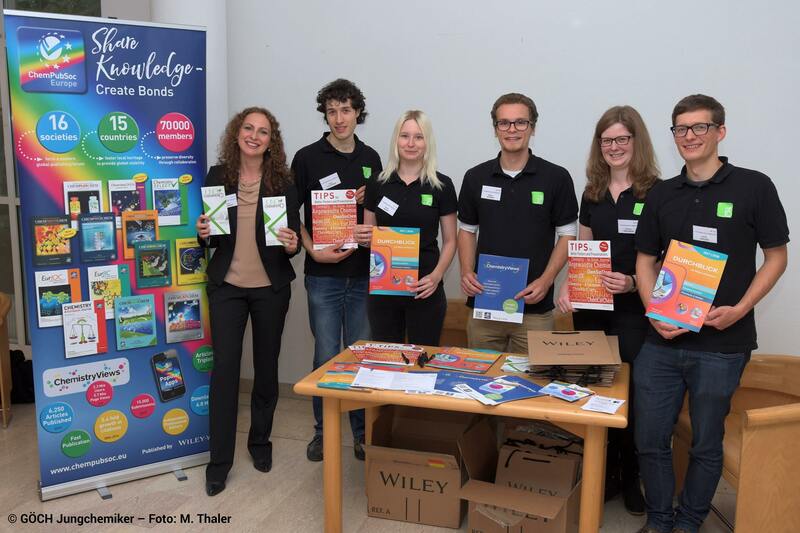 On the following pages you may find information to the symposium – for further information feel free to contact Young Chemists Section of the German Chemical Society by e-mail To keep you up-to-date, we will constantly add information to this website, highlighted in the news section. 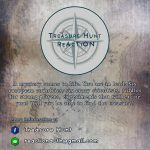 Also check out facebook and twitter! 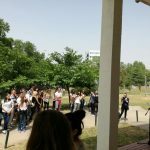 The main aim of the school is to TRANSFER to the young generation of chemists willing to DEVELOP their scientific career in the Pharmaceutical industry the fundamentals and the art of Process Chemistry in a positive and friendly environment. 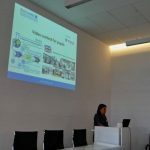 In addition, ISPROCHEM aims to be a favorable place for young researchers to SHARE different perspectives and experiences, in view of their future academy – industry relationships. The 6th Portuguese Young Chemists Meeting (PYCheM) will take place on May 15-18, 2018, in Setúbal (Portugal). This biennial conference, dating back to 2008, is dedicated to gather young researchers from all subfields of Chemistry, as well as other related scientific areas of Research. Young chemists and researchers from any nationality are particularly encouraged to share their scientific highlights amongst their peers from chemical sciences, expand their international research network and attend lectures from recognized experts in various field of Chemistry. The congress will highlight the theme « Chemistry and Life » because it is a transdisciplinary subject that concerns more and more chemists. However, it leaves room for the mainstream contributions, corresponding to the thematic divisions of the Société Chimique de France: Catalysis, Coordination chemistry, Polymers and materials chemistry, Solid state chemistry, Industrial chemistry, Organic chemistry, Physical chemistry, Energy. Deadline for early bird registration until April 30th, standard registration until June 25th, late registration from June 26th and on site. 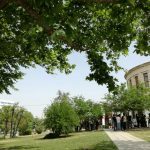 The 5th International Congress on Chemistry for Cultural Heritage – ChemCH2018 will take place on July 3-8, 2018, in Bucharest (Romania). The conference is open to scientists, conservators, restorers, archaeologists, etc. to create an interdisciplinary community and a common environment for a fruitful discussion on the rôle of chemical science and technology for Cultural Heritage. The Gordon research Seminar (GRS) will take place from July 28-29, 2018 followed by the Gordon research Conference (GRC) from July 29-August 3, 2018, in Castelldefels (Spain). 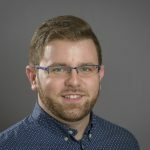 The Gordon Research Seminar (GRS) on Green Chemistry is a unique forum for graduate students, post-docs, and other scientists with comparable levels of experience and education to present and exchange new data and cutting edge ideas. Topic of the GR Seminaris Green Chemistry and Its Relevance to Society. Topic of the GR Conference is Addressing the Challenges at the Energy-Materials-Food-Water Nexus Through Green Chemistry. Applications for the GRS must be submitted by June 30, 2018 and for the GRC must be submitted by July 1, 2018. AUXDEFENSE2018 is sponsored by the Portuguese Ministry of National Defense, organized by the University of Minho and focused on the latest scientific and technical novelties in advanced materials for Defense, including equipment and soldier protective systems. The conference will bring together various universities, research and technological centers, companies and all those interested in innovative solutions for this very high demanding field. The conference aims to represent a forum for exchanging ideas, presenting the latest developments and trends, proposing new solutions and promoting international collaborations. We received 35 photos from 18 participants which were from 11 different countries. 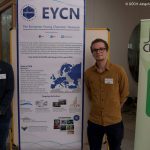 The submisions were evaluated by the Jury comprised of EYCN Science Team Members, EYCN Board Members and a professional photographer Wojciech Bibel. Click here for more information about this contest. 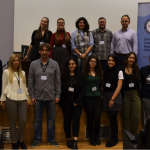 1st Conference in Chemistry for Graduate students, Postgraduate students, and PhD candidates in Aristotle University of Thessaloniki (Greece) took place on November 10-12, 2017. 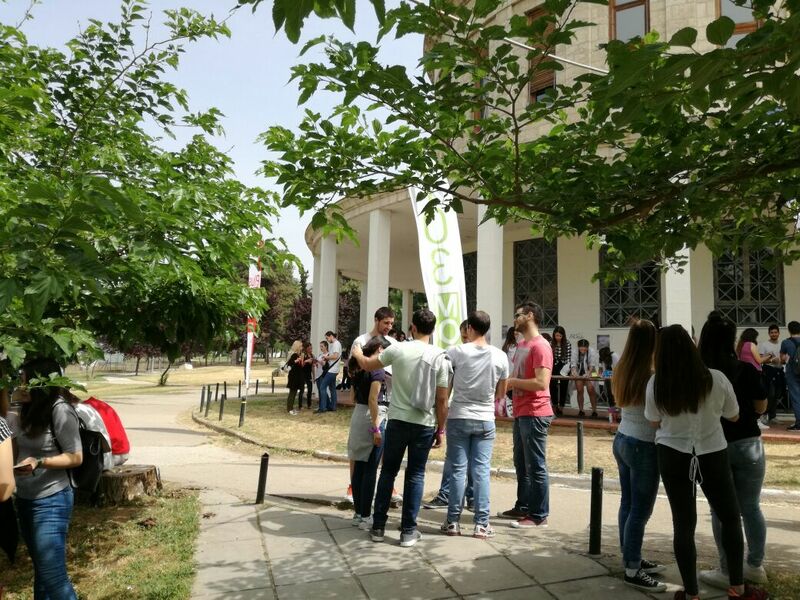 The conference had 460 participants from all fields of Chemistry and a total of 112 presentations, 63 of which were oral and the rest poster presentations. 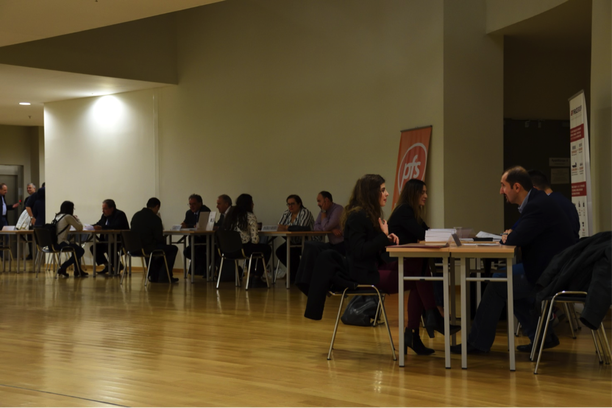 During the first day of the conference it was organized a Career Day with 6 companies presenting their businesses and organizing interviews for the postgraduate students looking for job opportunities. 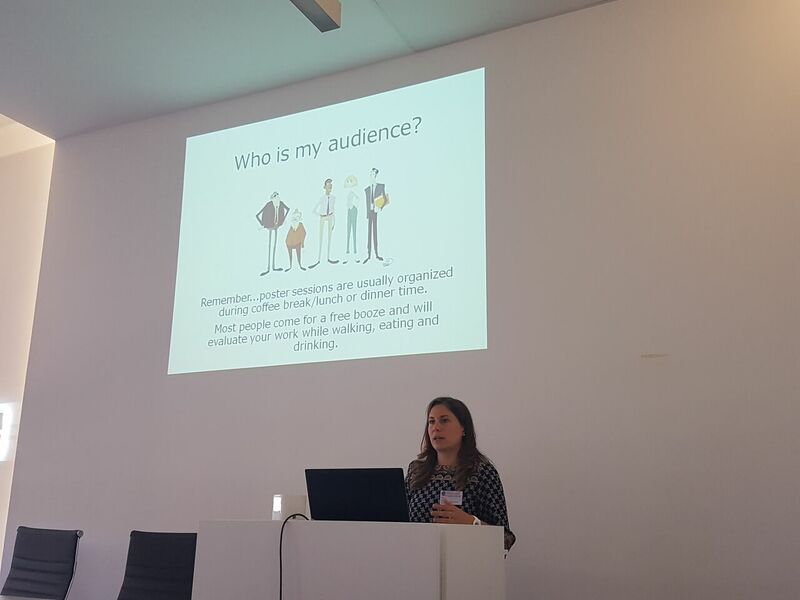 Moreover the Chair of the EYCN Alice Soldà has presented the EYCN activities and the networking opportunities to the young chemists via an online platform. 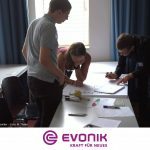 The first EYCN soft-skills contribution in Europe! 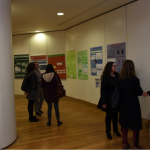 Posters are widely used in the academic community, and most conferences include poster presentations in their program. 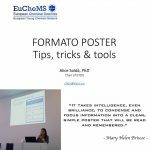 Scientific posters concisely and attractively summarize information or a research project to help publicize it and generate discussion. 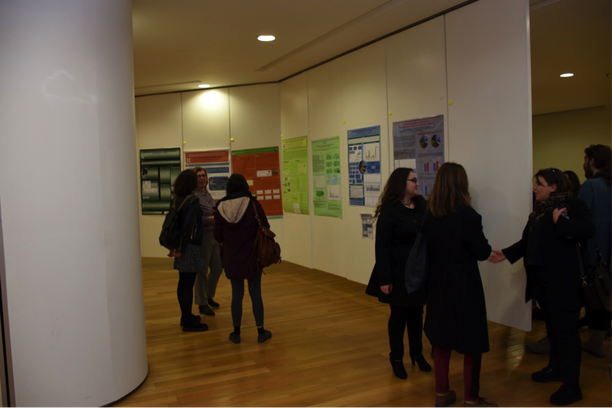 A poster is an opportunity to effectively share research results and engage in scientific dialog with colleagues and the feedback can help you in refining your research and preparing it for publication. 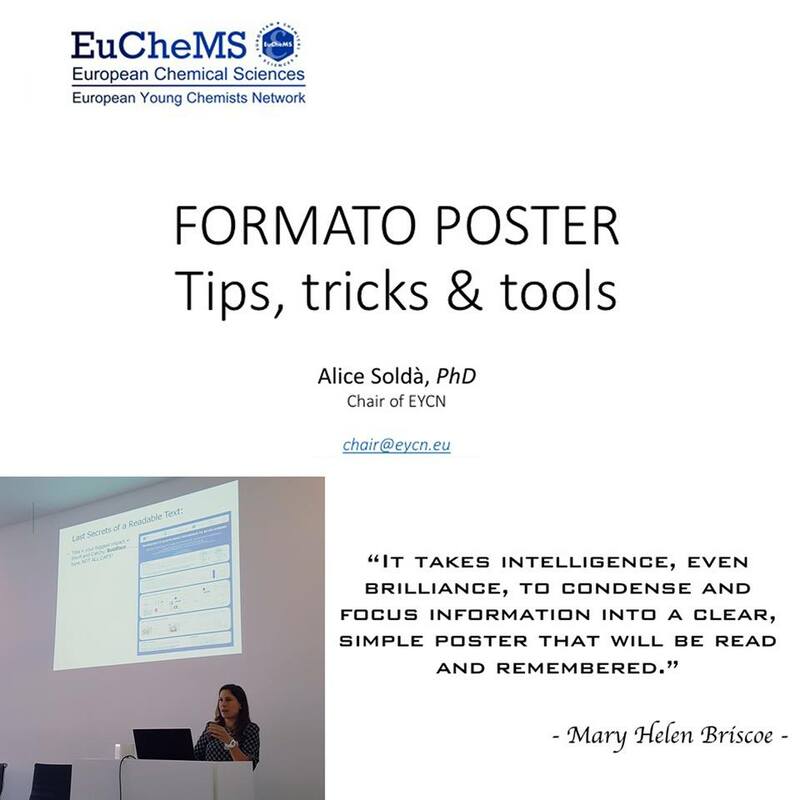 The Chair of the EYCN Dr Alice Solda presented 8 SIMPLE RULES to design a great POSTER PRESENTATION and to minimize the time-consuming process of preparing and presenting an effective poster. 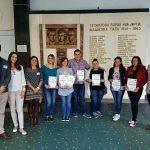 This first-time contribution happened during the 5th Conference of Young Chemists of Serbia in Belgrade on September 29-30, 2017.
! We will be glad to provide our help, support and contribution! The second time it becomes tradition! 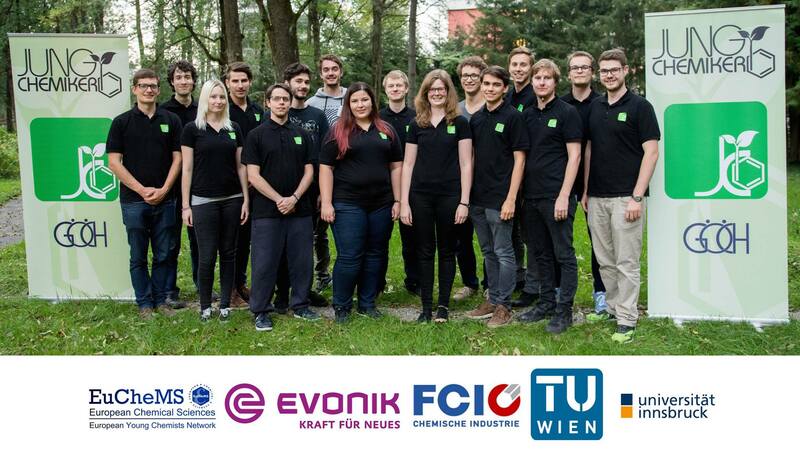 In September 2017 the members of the Austrian Young Chemists’ Network from all 4 locations (Graz, Innsbruck, Linz and Vienna) assembled for the 2nd National Get Together. 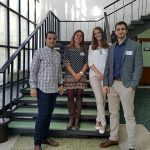 This was not only a possibility to personally meet the new members of their growing network and new employers in our growing network, but also to develop concepts for new projects. 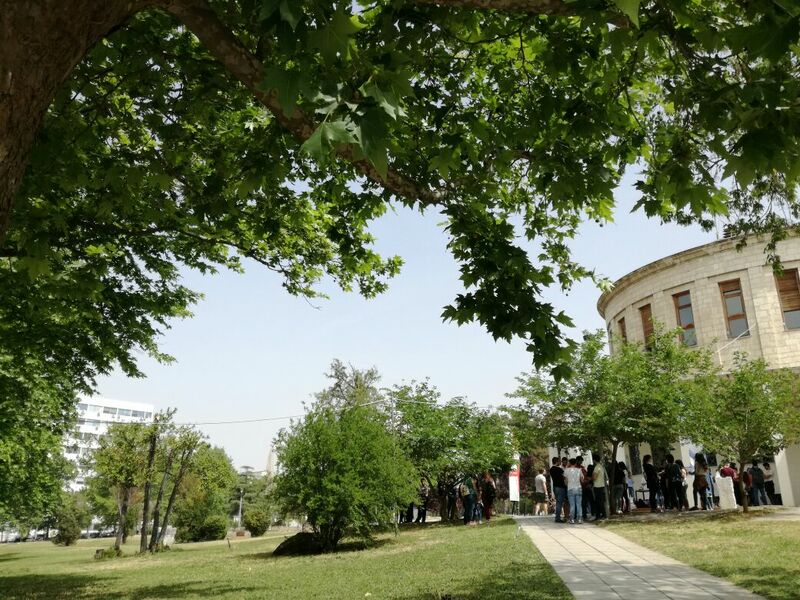 The first time in their history local representatives were able to vote for the members of the national board who are responsible for the nationwide organisation. 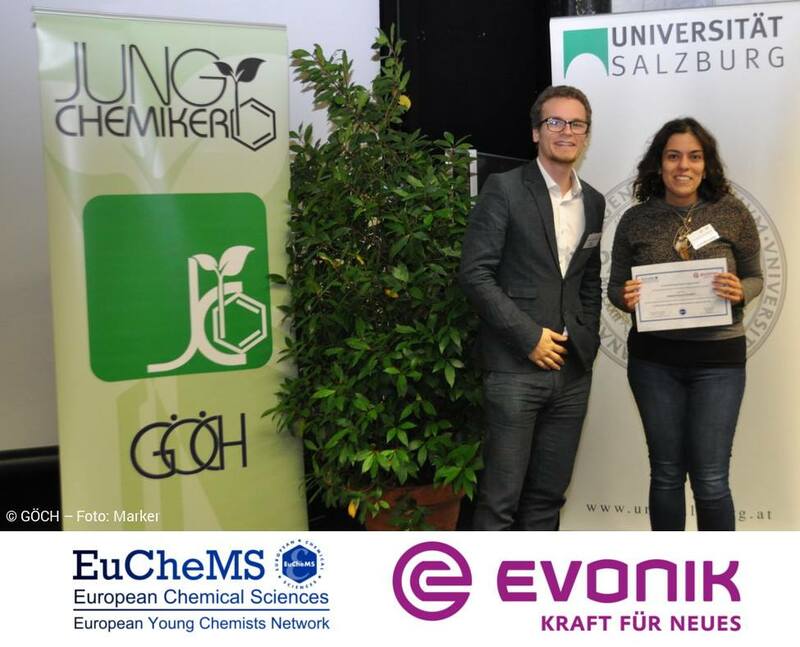 This was made possible by our sponsors and we therefore kindly thank the EYCN, Evonik, the Association of the Austrian Chemical Industry and the universities of Innsbruck and Vienna for their support!! 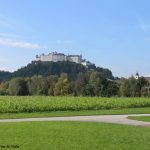 The 20th JCF spring symposium will take place at the University of Konstanz (Germany) from March 21-24, 2018. 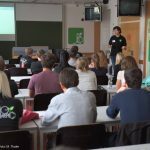 The GDCh-JCF spring symposium is a well-established international event for young chemists, in particular undergraduate and PhD students of chemistry and related subjects. Researchers from Europe and all over the world are encouraged to participate in the symposium. The acceptance of works within the framework “Radioactivity!” of the second Photochimica 2017 contest was completed. We received 35 photos from participants from 11 countries. 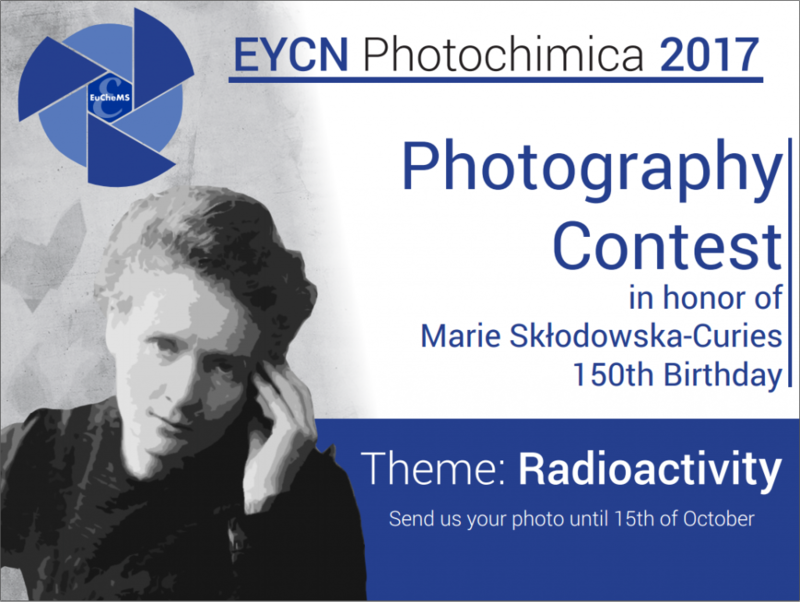 The first Photochimica 2017 exhibition will take place during the Medicina-Scientia-Culturae – International Conference devoted to the achievements of Maria Skłodowska-Curie in Warsaw, University of Technology, Medical University of Warsaw, University of Warsaw (Poland) on November 6-8, 2017. For the rules and regulations, please visit this link. 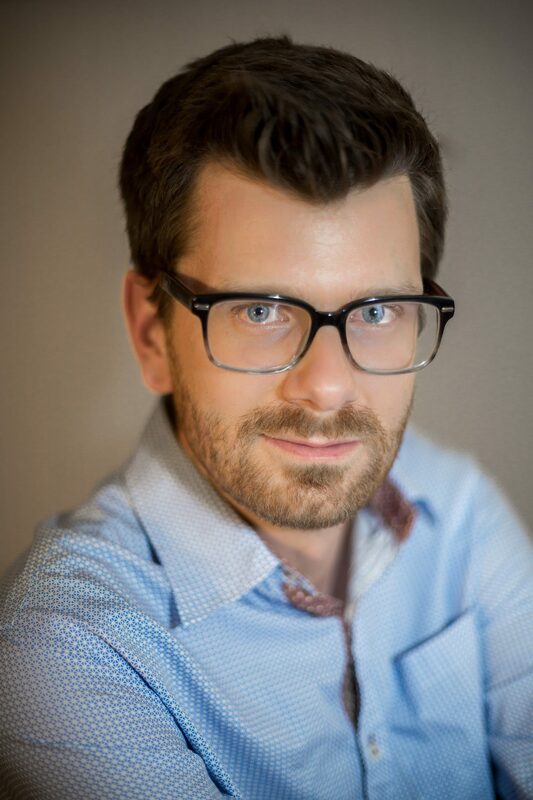 Take a look at our first promotional video created by Julian Dutzler. 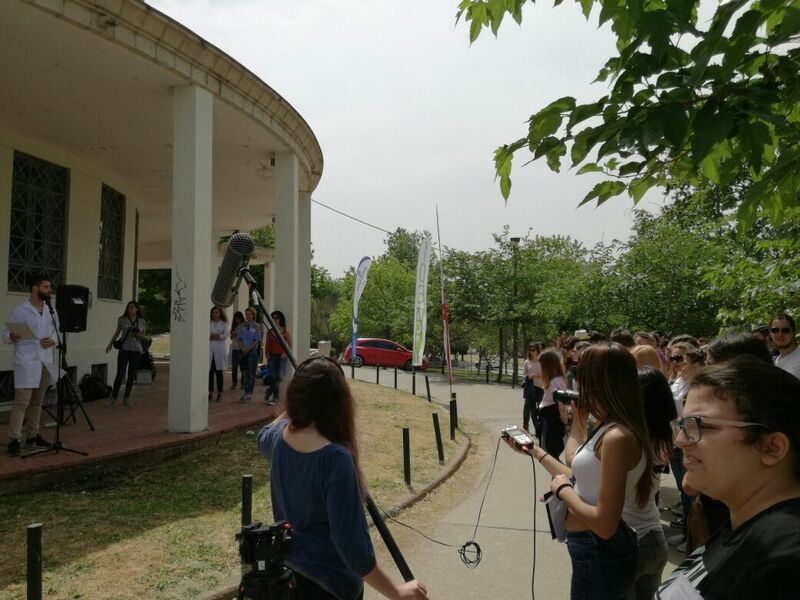 The video is about the Delegate Assembly, an annual meeting of all national representatives from the EYCN. 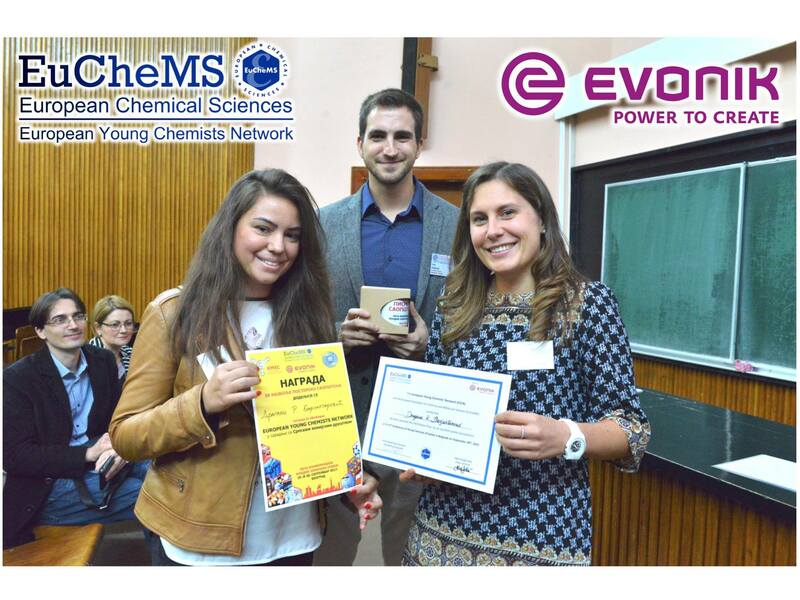 Subscribe to our channel “European Young Chemists Network” and stay tuned for more exciting videos! 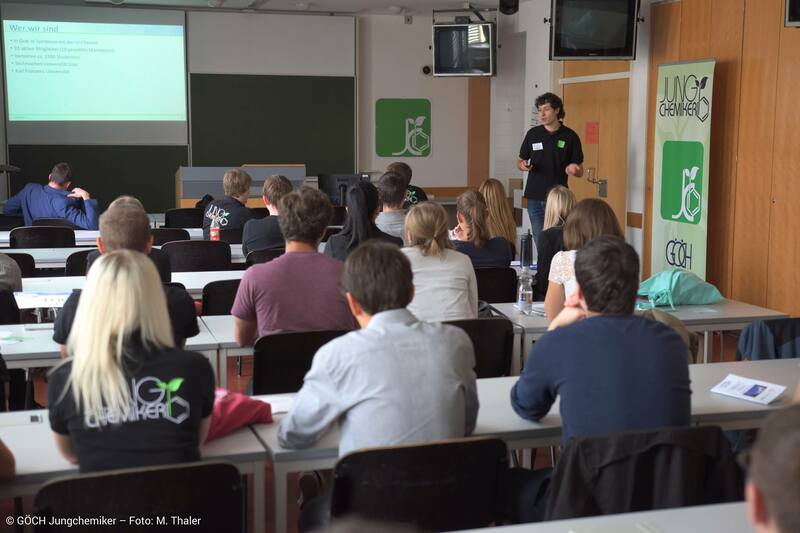 We are pleased to welcome the Slovak Chemical Society to the EYCN! Now, our organization has representatives from 22 countries. You can find more information about this society and its delegate here. 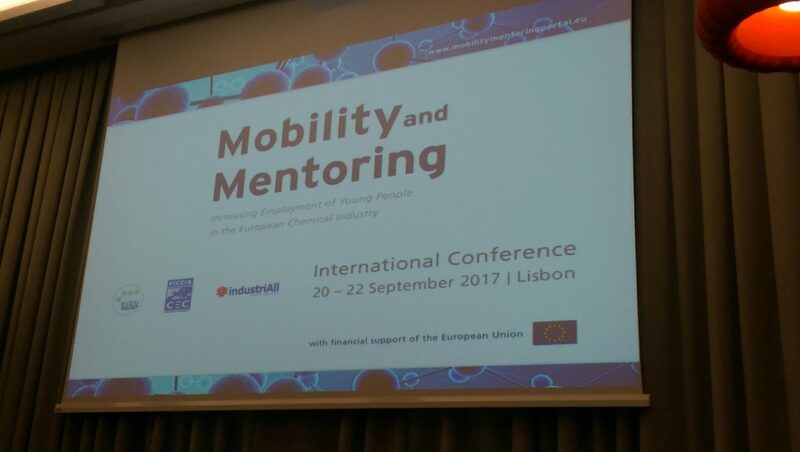 For the second time, the EYCN representatives attended an international conference “Mobility and Mentoring: Increasing the Employment of Young Workers in the European Chemical Industry” in Lisbon from 20-22 September, 2017. For more information about this EU project, click here. The International symposium on Bioinspired Macromolecular Systems in Aveiro (Portugal) on November 6-8, 2017. 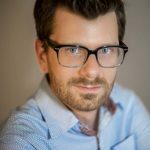 The symposium will highlight the key contributions of chemical strategies for the modification of natural and biomimetic biomaterials, as well as advanced processing technologies/methodologies towards the development of next-generation multifunctional devices to be used in the biomedical and healthcare arena. The scientific program will comprise a series of plenary lectures to be delivered by internationally renowned scientists, well-known for their expertise and experience in chemistry, materials science and engineering, biomaterials science, marine biotechnology, biomedical engineering, bioengineering, biology, and/or advanced therapies (such as tissue engineering), which will provide an authoritative and comprehensive overview on the latest developments in the relevant fields related with the topics of the event. 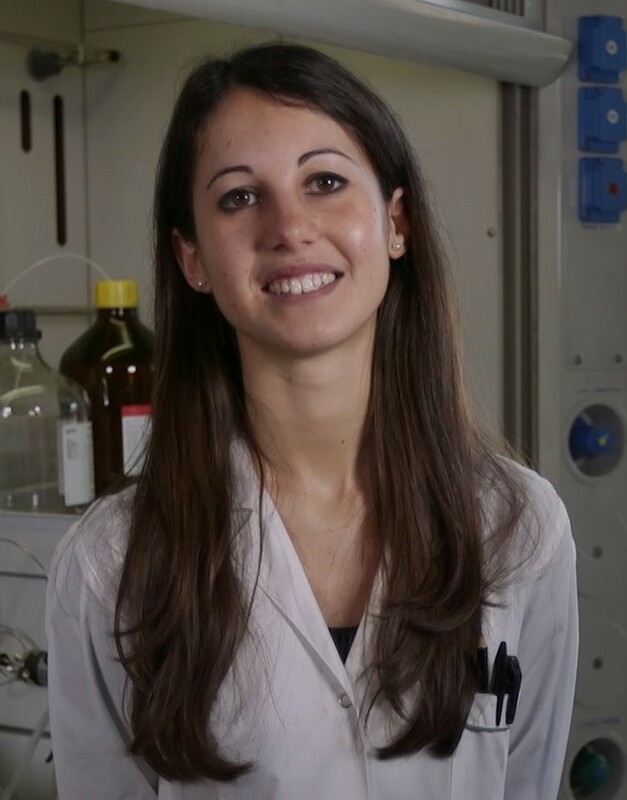 We are honored to announce the 17th edition of the Merck Young Chemists Symposium, as an annual scientific event organized by the Young Group Italian Chemical Society (SCI Giovani) with the financial support of Merck. 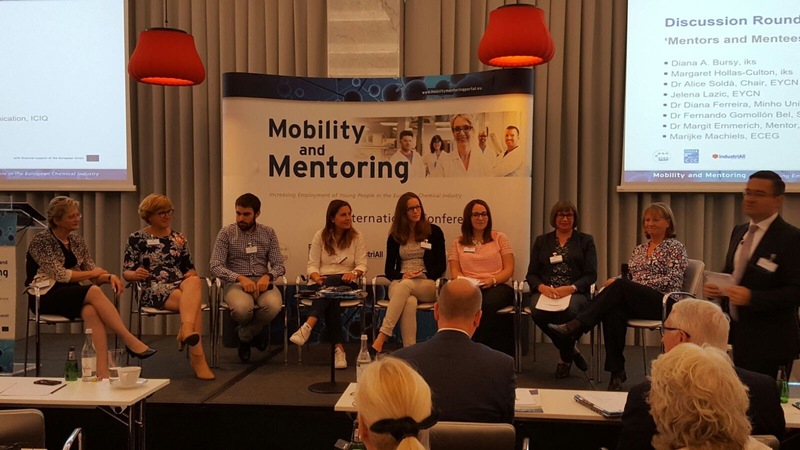 Thanks to the presence of Merck and the active participation of SCI at European level (society member of EuChemS), the event will be international, hosting several top-scientists. Merck Young Chemists Symposium 2017 will be hosted in Milano Marittima (Italy) on November 13-15, 2017. 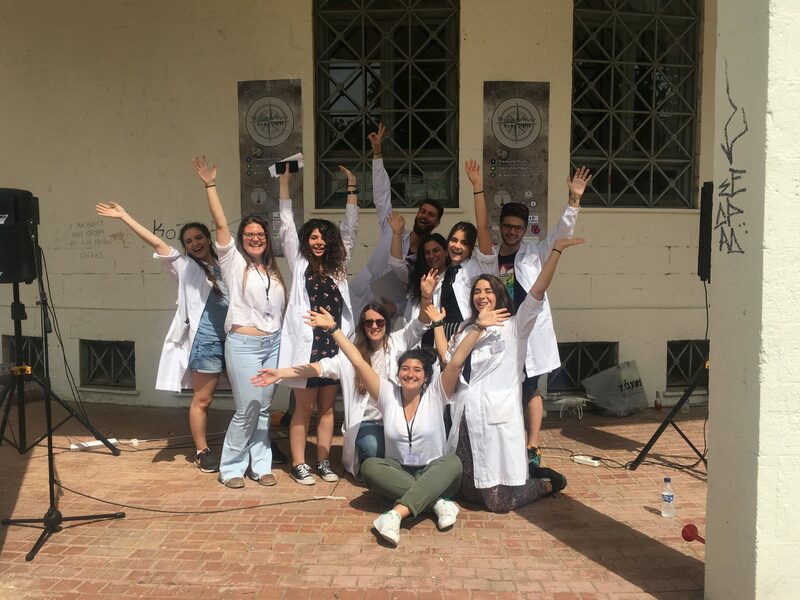 This year, a special emphasis will be given to chemistry without borders: how chemistry is increasingly present in all of the fields that are fundamental for human life, i.e. energy, health and environment? Deadline for abstract submission is September 24th, 2017. 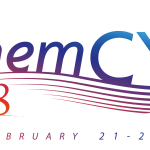 Chemical societies across North and South America, Europe, and Africa invite chemistry professionals to the ABCChem Conference in Cancún (Mexico) on January 23-26, 2018. This event will offer an opportunity for top scientists from around the Atlantic Basin region to share ideas and collaborate on current multi-disciplinary chemistry topics. through Monday, October 9th, 2017. 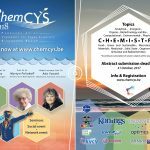 The 14th edition of the Chemistry Conference for Young Scientists (ChemCYS 2018) is organized by Jong KVCV and will take place February 21-23, 2018, at the Belgian coast in Blankenberge. Registration is already open and the deadline for abstract submission is October 31st. Registration fees already include accommodation and catering during the whole conference. 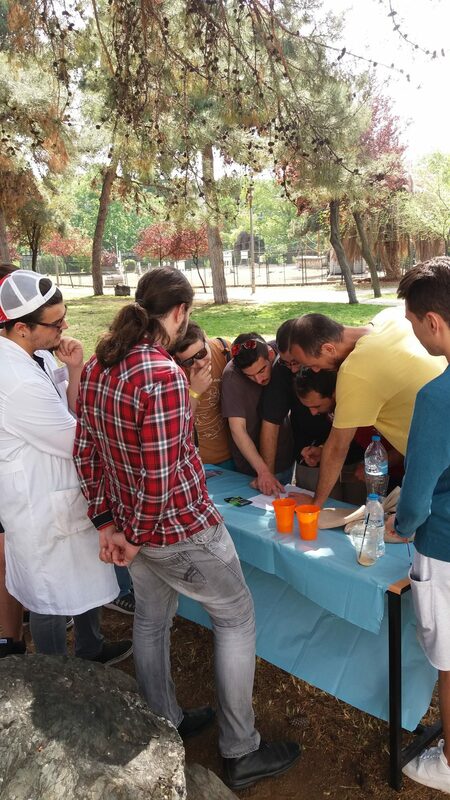 The Treasure Hunt was a project organized by the ReAcTiON team – undergraduate students of Chemistry of AUTH (Aristotle University of Thessaloniki), and in collaboration with the EYCN. 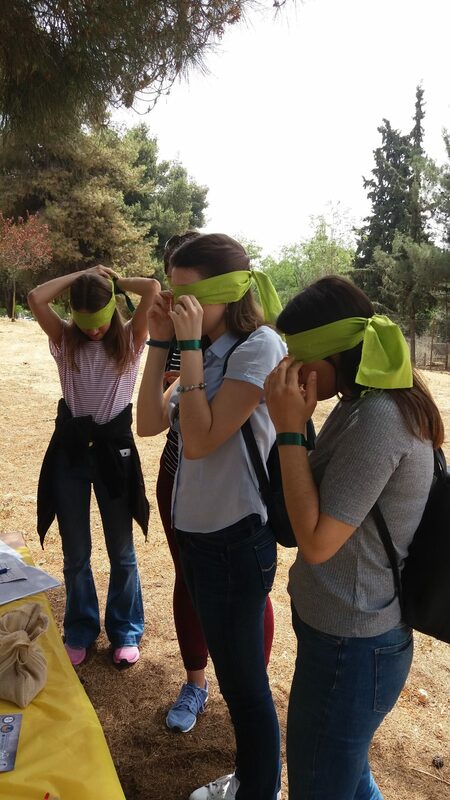 The aim was to bring the participants closer to the history and practice of chemistry. Through simple yet interactive and entertaining procedures and tasks the players were asked to understand chemical terms (e.g. neutralization), solve riddles, move in space and time to correct the time discontinuous and be the first to reach the prize. 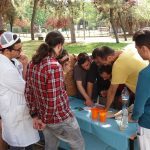 The “Treasure Hunt” project is under the aid of the Aristotle University of Thessaloniki, the Department of Chemistry of AUTH, the Association of Greek Chemists (AGC) in Thessaloniki and the Association of Chemists in Northern Greece. 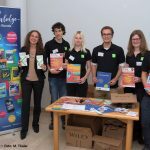 The EYCN collects information about the biggest events organized all across Europe and dedicated especially to young scientists. and we can promote it by adding it to our calendar. 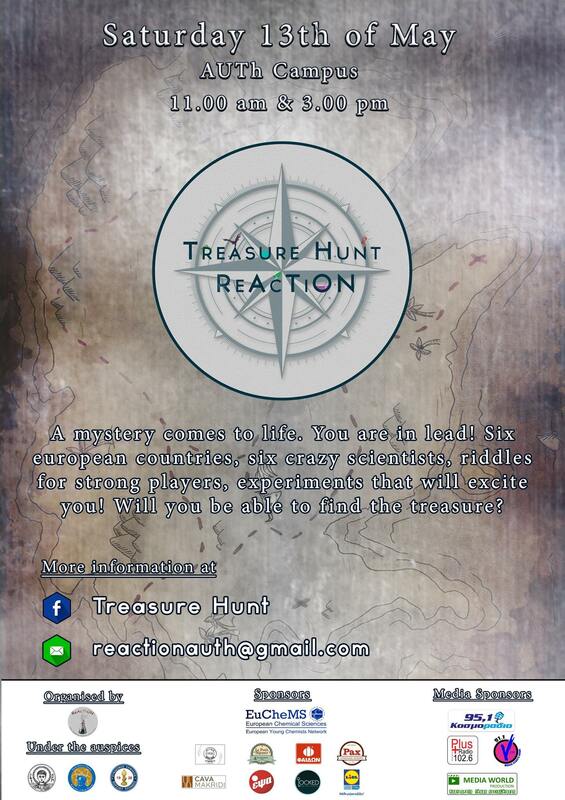 and we will also advertize it in our newsletter and in our social media.